If eating healthy is on your list of New Year’s resolutions, it helps to have a collection of simple, well-balanced meals to choose from. 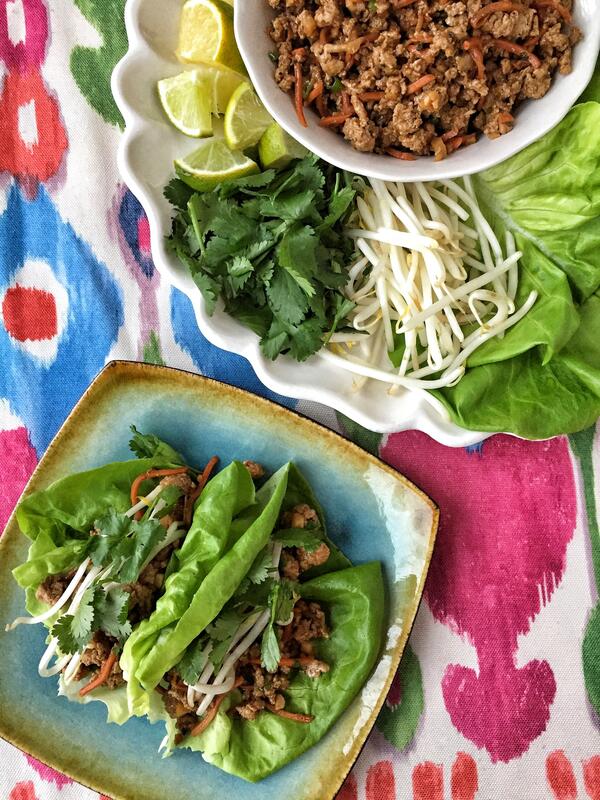 These Asian lettuce wraps make for an easy, guilt-free meal that’s satisfying and packed with flavor. Low in carbs and high in protein, these will surely become one of your new favorite nutritious recipes. Lettuce cups are filled with an Asian-inspired medley of ground chicken, onions, carrots and water chestnuts, then topped with fresh bean sprouts, cilantro and a squeeze of lime. It hits all the notes for taste and texture: salty yet cooling with a hint of spice, and tender and crisp, with a bit of crunch. As a bright, refreshing meal or crowd-pleasing appetizer, these hand-held wraps are a lot like tacos, easily customizable and fast to prepare. And whether you stick to that healthy-eating resolution or not, this recipe will likely stand the test of time. Heat olive oil in a saucepan over medium-high heat. Add ground chicken or turkey and cook until cooked through, making sure to crumble the meat as it cooks; drain. Stir in garlic, onion, carrots, hoisin sauce, soy sauce, rice wine vinegar, ginger and Sriracha (if using), and cook until onions have become translucent, about 1-2 minutes. Stir in chestnuts and green onions, and cook until tender, about 1-2 minutes; season with salt and pepper, to taste. To serve, spoon mixture into the center of a lettuce leaf, taco-style. Top with bean sprouts, cilantro and freshly squeezed lime juice.